I learned from my mother to be frugal with money — and affection. An unexpected expert helped me change my ways. My husband, Jimmy, finished setting up the new karaoke machine in our bedroom. “I love you,” I told him as he handed me the wireless microphone. It’s a conversation that happens daily in our house. For the first five years of our marriage, weeks and often months passed without any verbal expression of devotion on my part. Like many women, I took my cues from my mother. She grew up during the Depression, the daughter of a policeman who struggled to pay the rent. She and her siblings survived on pea soup and stale bread and wore hand-me-downs from wealthier relatives. That childhood scarcity turned my mother into a thrifty adult — and not just where money was concerned. For her, even the intangibles, like compliments and “I love yous,” were to be used in moderation, lest they lose their potency. Following her example, I reserved my proclamations of love for socially sanctioned occasions like wedding anniversaries and Valentine’s Day. Those three words should be used sparingly, I believed, because then they would mean more to the person on the receiving end. But that person was Jimmy, who comes from a large, demonstrative Greek family. At their home, greetings and goodbyes often took hours as relatives circled the room embracing, bussing one another’s cheeks, and chanting “I love you.” The affection flowed as freely as the ouzo. Jimmy wore his heart on his sleeve; I wore my sleeve over my heart. Every few months, after an outing with his family, he’d mention my lack of verbal affection. Each time I vowed to work on it, and each time I found myself unable to overcome my mother’s legacy of silence. I was beginning to fear that our opposing communication styles would eventually drive a permanent wedge between us. Then, five years into our marriage, I stumbled on a book at my local library. I recognized the handsome couple locked in an embrace on the cover: two-time Olympic figure skating champions Ekaterina Gordeeva and Sergei Grinkov. Before meeting Jimmy, I’d spent many a lonely night watching on TV as the pair glided across the ice, awed by their grace, elegance, and devotion. If only such a partnership could be mine, I used to think — a wish tinged with sadness after Grinkov’s death at age 28. Now his widow had written a memoir of their years together, My Sergei: A Love Story. Maybe, I thought, she could teach me something about my own marriage. As it turned out, she did. Her advice was simple and direct: Express love to your spouse. Every day. No matter what. I shut the book, feeling some dismay. Every day? Not just on Valentine’s Day and our anniversary? The thought made me feel uncomfortable, as if I were violating an ancestral taboo. Implementing such a plan would require overcoming years of training. But maybe Gordeeva was right. Maybe every day spent with the love of my life really was a special occasion. 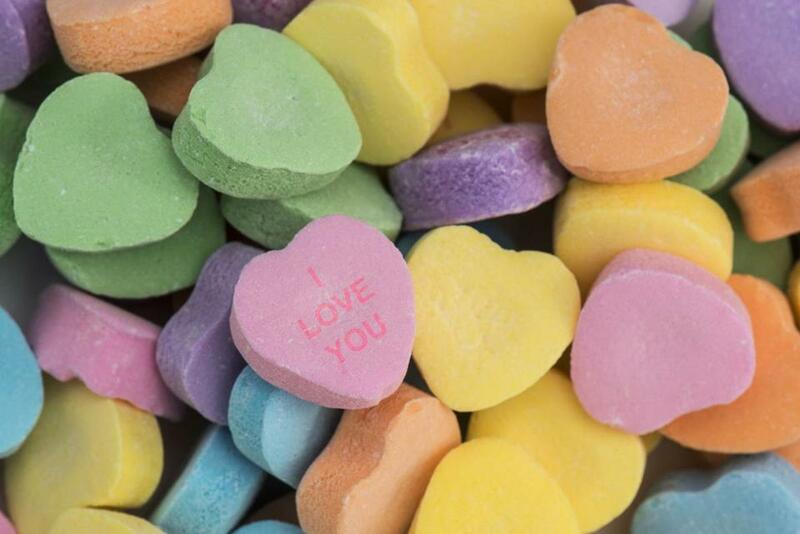 The first time I said “I love you” on a non-sanctioned holiday, it was awkward. I felt like a phony, trying to impersonate a glamorous Russian skater. Even Jimmy seemed taken aback by my out-of-character words. “Are you OK?” he asked. It’s been 15 years since I implemented the Gordeeva plan. She was right: Jimmy and I are closer than ever, because he always knows how I feel about him. A simple affirmation changed the trajectory of my marriage. My mother was right to be frugal about spending, a trait I appreciate every time I get a discount on heating oil. Not so right to be frugal about love. Giulietta Nardone is a writer in Ashland. Send comments to connections@globe.com. Get the best of the magazine’s award-winning stories and features right in your e-mail inbox every Sunday. Sign up here.